The Revlon Just Bitten Kissable Balm Stains are something of a hybrid between a lipstick and a lipbalm. They're something I've heard lots of people talking about and generally saying very good things. I was really excited to try these out and I'm not disappointed at all now that I have. They're everything I hoped they would be and so much more! I have a Revlon Just Bitten Kissable Balm Stain in the shade Cherish Devotion 015 to review today. There's already been much hype about these on many a beauty blog and not least so because they are a drugstore makeup dupe for the Clinique Chubby Sticks. This is a light barbie pink with a blue undertone. The consistency is balmy and not sticky. I was quite surprised by how highly pigmented this is as most of the other chubby crayons I've tried have been quite sheer and not very pigmented. Of course, it can be worn relatively sheer but this has the advantage of being extremely buildable and this can be used to create a strong pop of colour that is pretty much opaque. The finish is glossy and wet looking although as I already mentioned, the formula isn't sticky. I normally wear lip balm under all of my lip products as I really dislike having dry lips but this is moisturising enough on it's own and it really does feel very comfortable on my lips. The other surprise about this is how genuinely long lasting it is. I know it is a balm stain so it ought to be long wearing but I've tried many other lip stains that really haven't provided much longevity. This stays on effortlessly and even after eating and drinking it only needs touching up rather than completely reapplying. This is a bright colour and it's one that I really enjoy building up and wearing to it's maximum intensity. But be aware, this is the kind of bright lip colour where people don't look at your face when you talk, they just look at your lips because they're so bright it would be hard for anyone not too! Although this is an attention grabbing colour, it's also one that I find strangely wearable. I can get away with wearing this colour during the day and even at work as I feel more confident wearing this bright pink than I would do wearing a bright coral. This usually retails for £7.99 from places such as Boots and Superdrug but it's currently available from Direct Cosmetics for only £1.99. This represents a fantastic 75% discount and a £6.00 reduction is the usual RRP. 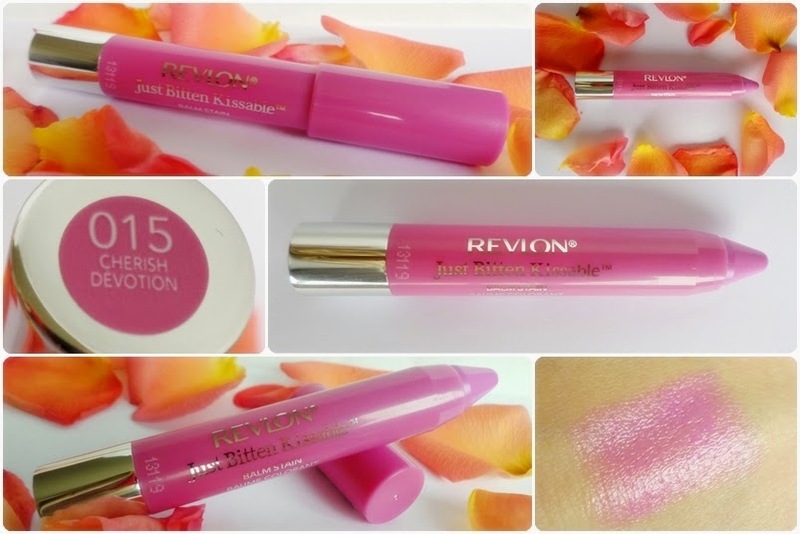 I'm really glad I've discovered a love for the Revlon Just Bitten Kissable Balm Stains as I always have room in my makeup bag for lovely lip products like this one. I like anything that's moisturising, highly pigmented and long wearing so this definitely gets the thumbs up from me! Have you tried any lip crayons before?